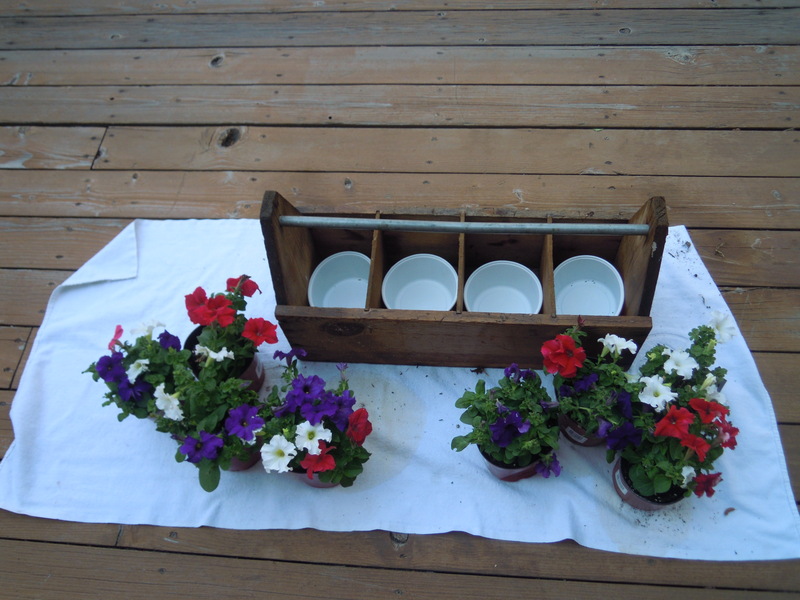 Like many, I love finding unique ways to breathe new life into old obsolete household items. While cleaning the garage storage closet I found this old toolbox, (maybe circa 1950) that belonged to my father-in-law. I did not want to put it in the trash or donate it but it was just sitting there collecting dust. I took it out of the garage and started to clean it up hoping that I might be inspired to find a new use for it. And guess what, it worked! 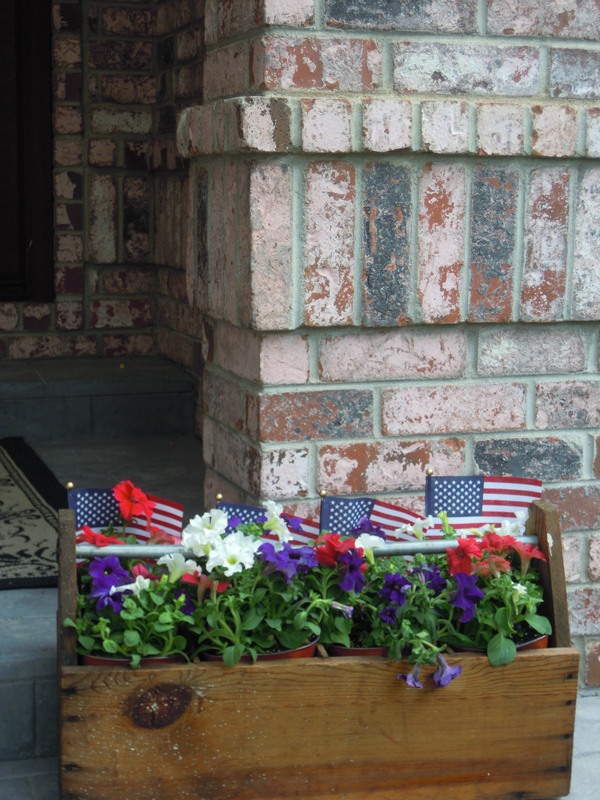 How about An All-American planter to brighten my porch this Fourth of July? 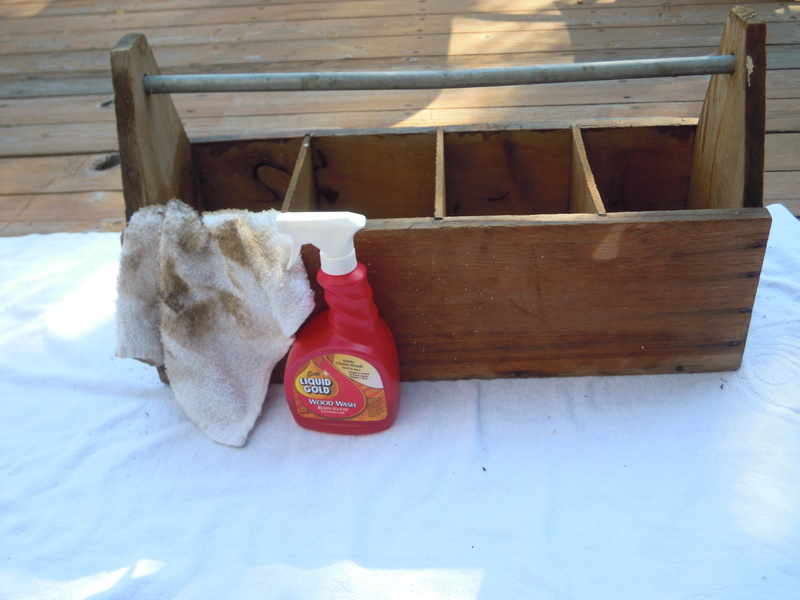 I started by cleaning up the toolbox with a gentle, mild detergent. I used Scott’s Liquid Gold Wood Wash. I wanted to be sure to get all the dirt off, inside and out, and remove any chemical residue. But I also wanted to be sure it was safe for plants. You can see that it was pretty dirty! 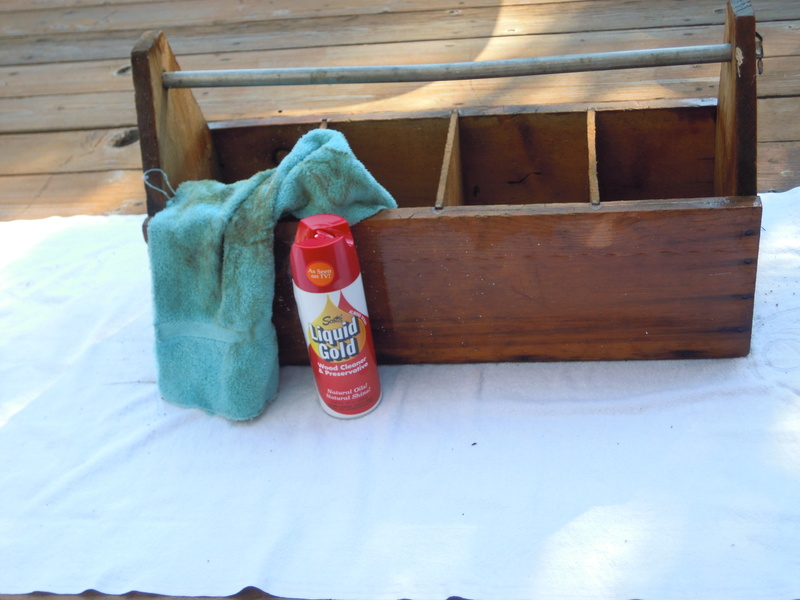 To deep clean the wood and hydrate it, I used Scott’s Liquid Gold Wood Cleaner and Preservative on the outside of the toolbox to restore the wood. The wood was so dry and thirsty it took several applications. When the wood looked good, I buffed out the extra oil. Then, I placed whipped topping containers in each section to catch extra water and added ten dollars worth of red, white and ‘blue’ petunias. Added a few flags and Voila! I have a unique planter from an old toolbox steeped in American history and ready to celebrate the Fourth of July! Wishing you and yours a safe and happy All-American Fourth of July! I am the Director of Corporate Communications for Scott's Liquid Gold and Neoteric Cosmetics. I am the third generation to work in this family business founded and based in Denver, CO. We will celebrate our 6oth anniversary in 2011. 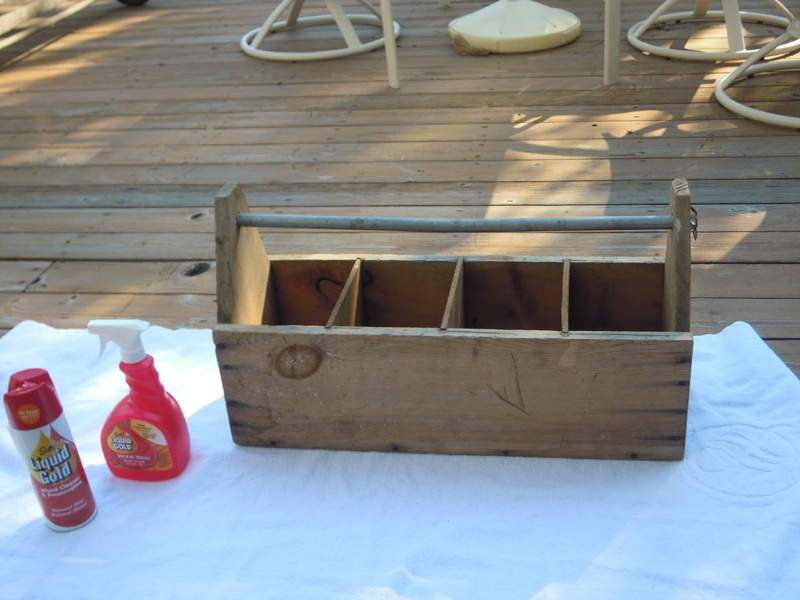 This entry was posted in America, Antique, DIY, Dust, Flowers, Garage, Garden, Household, Retro, Scott's Liquid Gold, Uncategorized, Vintage, Wood Wash and tagged American, Clean, cleaning, closet, dirt, dry, Flowers, Fourth of July, Garage, heirlooms, natural oils, new life, reuse, Reuse & Repurpose, toolbox, Vintage, wood. Bookmark the permalink.